Yu-Gi-Oh! 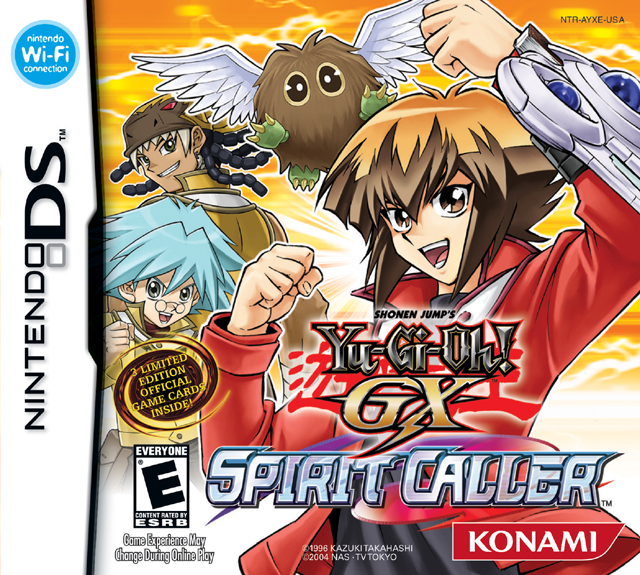 GX: Spirit Caller brings together the collection-oriented card game with the potential of the digital realm and ends up with mostly disappointing results. Mixing a heavy Yu-Gi-Oh! 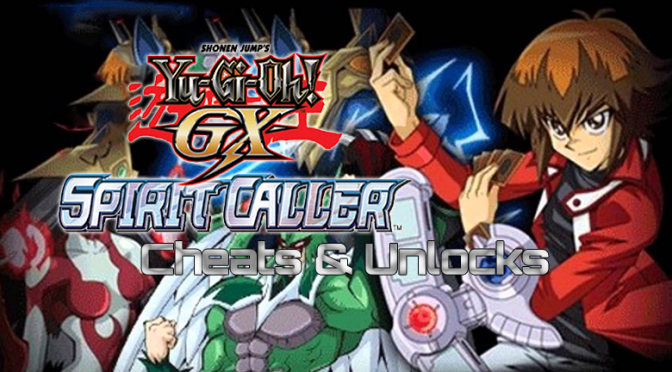 influence and traditional video game mechanics, the end result yields a game that’s ultimately playable, but only appeals to established Yu-Gi-Oh! followers. Unlock Title, Duel Disk, and Clothes From Nightmare Troubadour! You must go into Wireless Connection on both Spirit Caller and Nightmare Troubadour. Then in Nightmare Troubadour make a room and enter the room with Spirit Caller. It should save the game. Then exit the wireless connection on both games. When you get back to your Dorm Room in Spirit Caller go into your closet and you should have acquired: Stuffy Collared Shirt, Cheap Duel Disk. To unlock the duel disks you have to beat certain people a certain amount of times. The amount of times you have to beat the people is different depending on your spirit. Alchemy Disk – Defeat Professor Banner until he gives it to you. Amazonness Disk – Defeat Tania until she gives it to you. Gorgeous Disk – Defeat Admiral until he gives it to you. Kaibaman Disk – Defeat Kaibaman until he gives it to you. Pharaoh Disk – Defeat Abidos until he gives it to you. Vampire Disk – Defeat Camula until she gives it to you. To unlock the uniforms you have to beat certain people a certain amount of times. The amount of times you have to beat the people is different depending on your spirit. Academy Jersey – Defeat Fonda until she gives it to you. Black Uniform – Defeat Chazz until he gives it to you. Blue Uniform – Defeat Dark Zane until he gives it to you. Duel Coat – Defeat Crowler until he gives it to you. Hawaiian Shirt – Defeat Atticus until he gives it to you. Kaibaman Coat – Defeat Kaibaman until he gives it to you. North Academy Uniform – Defeat Chazz until he gives it to you. Suit – Duel Chumley until he gives it to you. Titan Coat – Defeat Titan until he gives it to you. Yellow Uniform – Defeat Professor sartyr until he gives it to you. Once you are done with the last event of the story mode, go to the Password Machien and type in 44324104 (no duelest Points are needed). Now you can rerun the credit sequence and play the matchemup mini-game whenever you wish (as long as Dorthy or Sadie is at the card counter). This glitch will put any amount of packs as 150 DP. Go into whatever set, and checkmark 1 pack. Select the set you want to buy all, or some of, and press L. Or checkmark them manually. Exit out of that set, and highlight another set (Do NOT go into the other set) Now press R.
After doing all 3 above, Press X. If done correctly, the packs you wanted, plus the one you checkmarked earlier, are only worth 150 DP altogether. This can be done with any pack. Note: The set must not be empty in order for this to work.